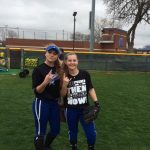 Girls Varsity Softball · Jan 11 Joshua’s Miranda Pruitt signs with Tarleton State softball! Joshua softball player Miranda Pruitt has signed to play at Tarleton State University. Congratulations Miranda! 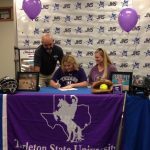 Girls Varsity Softball · Nov 22 Joshua’s Miranda Pruitt Signs with Tarleton State Softball! SOFTBALL PARENT MEETING September 6th in the Field House Team Room at 6PM All parents of athletes participating in the upcoming season will need to attend Topics Include: Important Dates Booster Club Membership Fall Ball Remind Communication See You there! After the Game last night the Lady Owls Varsity team signed autographs for some of their biggest FANS the JBA SWAT Softball Team!